If you’ve ever searched for a dependable garage door company in the Nicholasville, Kentucky, area, you’ve probably encountered a company that says, without proof, that it’s the best installer in the region. At 31-W Insulation, we think we stand above the competition because we have the track record to prove it. Our family-owned and -operated business has been fulfilling the home improvement needs of our customers since 1972. We have built a reputation for superior reliability and performance, and we have long maintained an A+ rating from the Better Business Bureau. We make installation projects convenient with a free consultation at your home to determine which garage door suits your needs and your home’s design. Then we work with you to schedule the installation at a time that’s best for you. Our garage doors, which are made by the trusted manufacturer Amarr®, come with outstanding features such as a steel construction for durability and low maintenance, high wind-load resistance, and SafeGuard pinch protection to guard against hand injuries. Plus, you’ll get a slew of options in door designs, decorative hardware, colors and finishes, and window panels in different shapes and sizes. 31-W Insulation passes along some of the most comprehensive warranties in the industry. 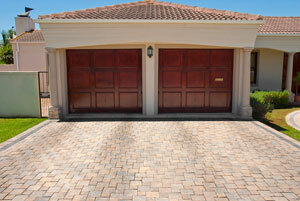 When you trust us as your garage door company, we want you to feel assured that your investment is well protected. For more information on our exceptional products and services, contact 31-W Insulation, the garage door company in Nicholasville, KY, that has a habit of exceeding expectations.